The Super Bowl is finally here! Even if you’re not into football, there is plenty to look forward to. Super Bowl parties often cater to mingling and eating good food! 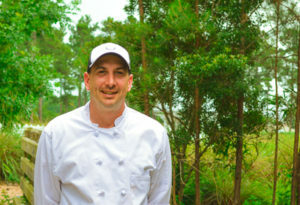 Chef Scott Euvrard, of The Forest Restaurant at Cape Fear National, has your game time covered with two delicious recipes that will make your mouth feel like a fourth-quarter touchdown. Set a four to six-quart pot over medium-low heat and add the bacon to the pot. Turn the bacon occasionally as it cooks until crisp. Remove the bacon and leave the excess fat in the pot. Then, crumble the strips into small pieces. Begin adding the butter, onion, celery, thyme, and bay leaves to the pot. Proceed to cook until onions are tender and translucent – about 6 to 8 minutes. Return the now crumbled bacon to the pot and stir. Reduce the heat to a low setting and cook, stirring occasionally. You can begin to prepare the potatoes while stirring the pot. In a two to three-quart pot on high heat, begin boiling the diced potatoes in salted water until tender – five to eight minutes. Turn back to the onion/bacon mixture and increase the heat to medium-low. You can now add the flour gradually and stir it in continuously, until a thick paste is built up. Stir and cook for about 5 minutes. Increase the heat to medium and slowly add the bottled clam juice, incorporating it into the mixture before adding more. Keep increasing the heat to medium-high and add the potatoes and clam meat with its juices. Stir for 5 minutes, until the clams are tender. Add the cream slowly, then stir in the white pepper. Discard the bay leaves before serving, and be sure to serve hot. For the Rams, Chef Scott feels that a simple recipe for street tacos will satisfy any Super Bowl appetite. Chef Scott says that the advantage to this dish is that you can be as creative as you’d like. While he doesn’t provide any specific recipes, Chef Scott highly recommends to simply think fresh, and let your taste buds do the work. Outside of the box combinations, like carne asada or rotisserie chicken, are what he recommends. For a healthier option, try grilled veggie tacos with portobello mushrooms and roasted poblano peppers. Serve up your tacos with grilled sweet potatoes with a honey and lime salsa verde. Don’t forget the street corn salad, and salsa! The sky is the limit for any taco creation you or your guests have in mind. 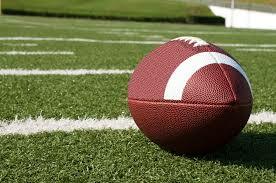 Super Bowl Sunday is a great day to mingle with family and friends. Complement great company with great food and you’ll be guaranteed a great time! For those who haven’t finalized your spread for Super Bowl Sunday, give these recipes a try!